Julian J. Torres, a 37-year-old, recently-paroled scholarship recipient, bursts into Professor Helen Payne's office—he has missed the first session of her contemporary literature course. He charms his way back into class, and the two become unlikely friends connected through the power of great literature. 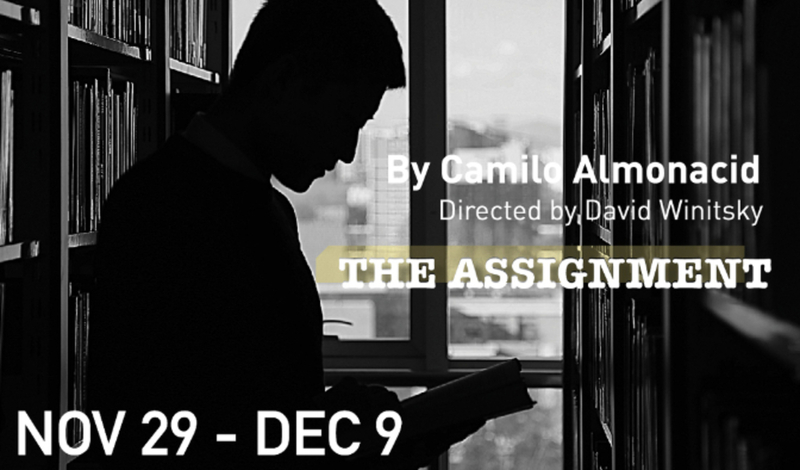 Funny, painful, and hopeful, The Assignment reminds us that there is life after the unthinkable. THE ASSIGNMENT on Saturday, December 1st at 8PM. These premium passes also give you access to the post-show party with the cast and creative team...and this is just one of the added bonuses. Get your special opening night passes now for just $59*!